Sian Williams: Why do I like motorsport? Whenever I tell people I love motorsport half the time the response is ‘really? But it’s boring they just drive around in circles?’ First of all, F1 and BTCC don’t drive in circles, that’s oval racing. They will make that comment and unleash my passion for motorsport. They are stuck talking to me until they understand where I am coming from. But I do love motorsport, for so many reasons. It is always different. You have a different track which means a different set up to the car, different tyre compounds. Different weather which can be unpredictable and mix up a grid in qualifying or make a race more exciting by the weather suddenly going from sunny to rainy. All of these will change each race weekend and can still be changed during the race weekend. That is the beauty of it for me. I love the unpredictability, one wrong move or decision and someone else can win a race or get that all-important point. There are a lot of make or break moments, has the audience on the edge of their seat not knowing the outcome. For example, if a pit stop goes wrong and loses time in the pits, important points and positions can be lost which the driver and team may not be able to get back. The community is a bit part for me as I have spoken about before. I love that I am able to connect with people and meet people I never thought I would. I have a handful of friends I have been lucky enough to meet that I have met through the internet or going to an event. 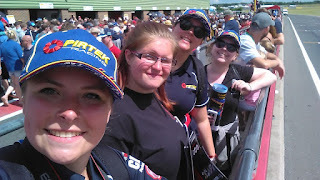 For example, when I camped at Snetterton for BTCC last year I met two girls who let us sit in their tent when it was chucking it down and they had a bigger tent than me and my friend. 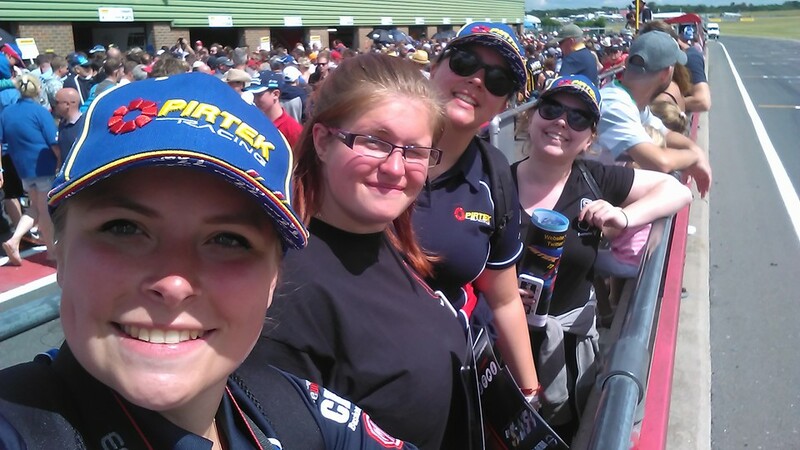 That night we all got talking and got on so well that we still stay in contact and I am staying with them on Wednesday before heading to Donnington and I cannot wait to see these girls. The motorsport community is something I feel very blessed to be a part of, everyone is friendly and we all have quite healthy rivalries; okay sometimes they may contain some banter and digs but it’s all light-hearted! I love motorsport for so many reasons and I will be more than happy to explain to anyone why it is not ‘just driving in circles’. The final thing I tell them is that it is a part of who I am, a very big part. So much in-fact I feel myself writing or watching motorsport and I am at my very happiest when I am at a track with good people. 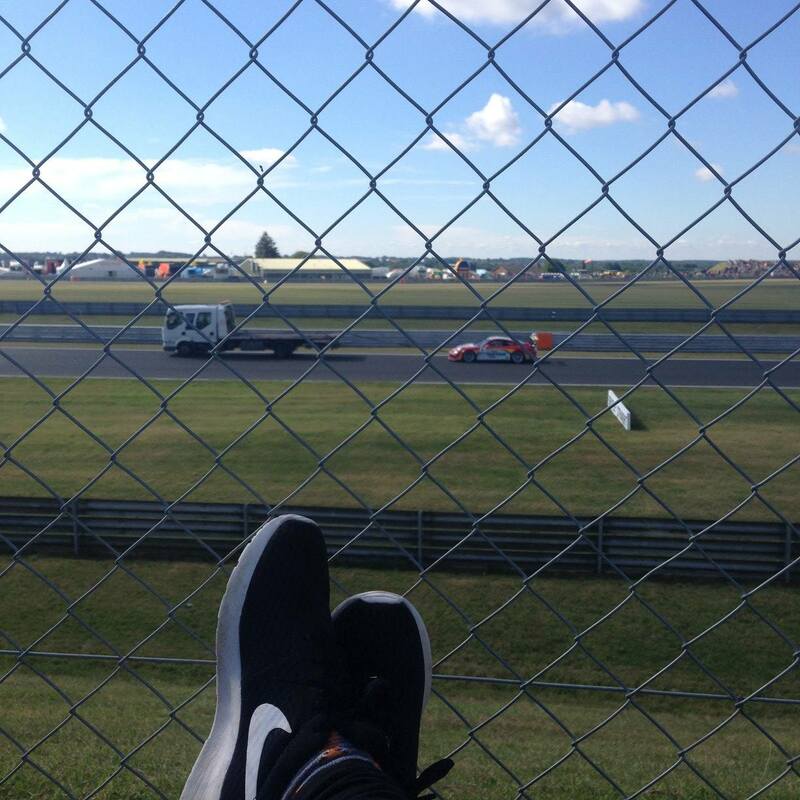 I always think back to the Sunday morning at Snetterton sitting by the track watching the cars go by. 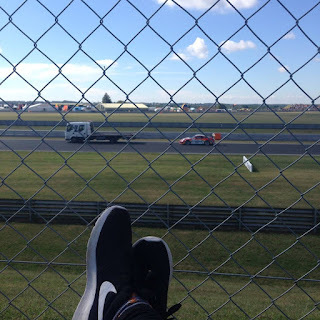 This is that very picture, no care in the world watching what I love surrounded by friends and strangers I could strike up a conversation with if I wanted because we were both at snetterton for the same reason. These are just some of the reasons I love motorsport. Some people may have different reasons or similar but I love that we can all come together and respect everyone. This is the sport I love and always will.